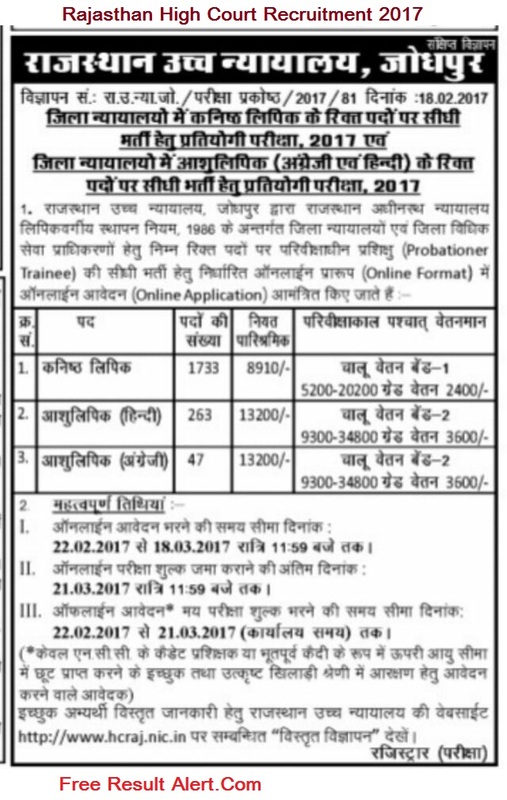 Rajasthan High Court Jodhpur Recently Release a Notification for the Post of HCraj Ldc Clerk Recruitment 2017. 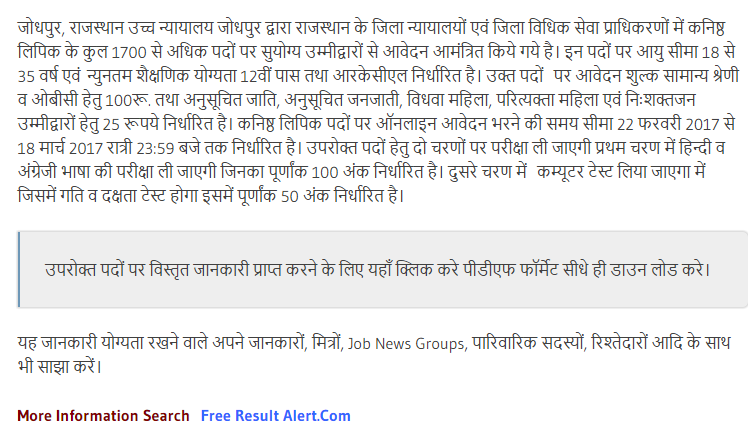 Now Serious Aspirants to Get the Job in Raj High Court are Worried About the Age Limit, Education Qualification, last Date of Online Application Form, Total Number of Ldc Clerk Vacancy and Selection Process Complete Detail are Uploaded Here. 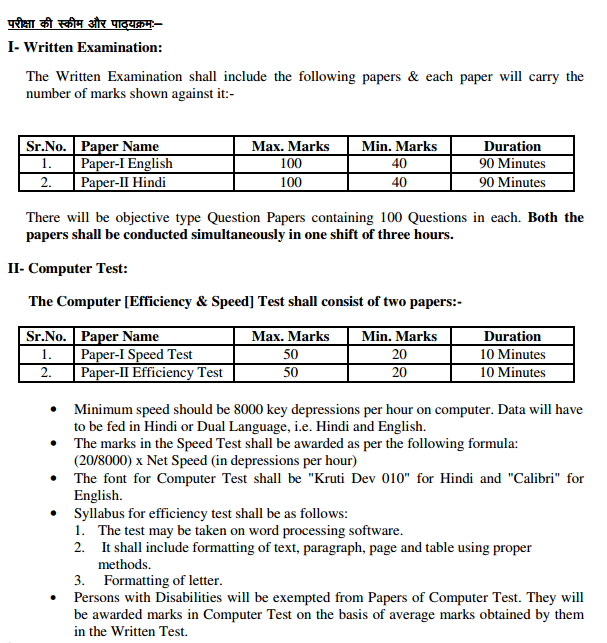 The Written Exam have been conducted in the month of May, therefore, the exam is conducted under the supervision of Rajasthan High Court Recruitment Board.Well, the exam has been successfully conducted and now they It is necessary that the candidates must check the hcraj ldc Admit Card 2017 so that they cadmium easily cross check the answer keys that they have with them. Rajasthan High Court LDC Exam 2017 भर्ती से संबंधित कोई भी डाउट या कंफ्यूजन हो तो आप कमेंट के माध्यम से पूछ सकते हैं हमारी टीम आपकी पूरी सहायता करेगी ! Candidates Fill the Online Application Form Start From 22-02-2017 and Last Date of Online Application Form Submission is 18-03-2017. 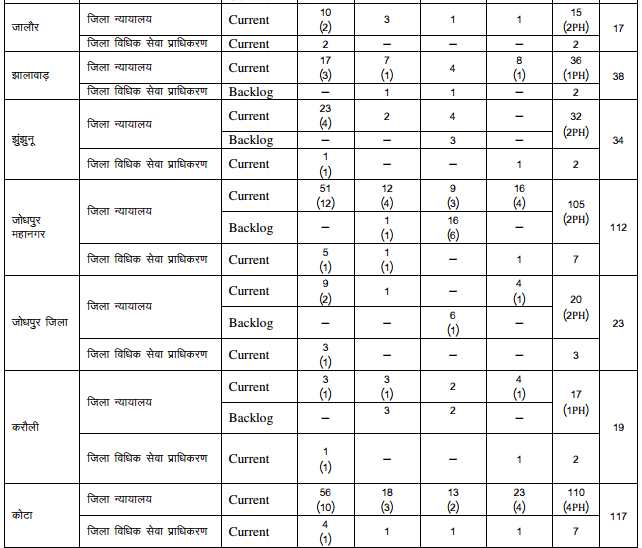 The Exam pattern and Rajasthan High Court LDC Syllabus 2017 are Uploaded here. 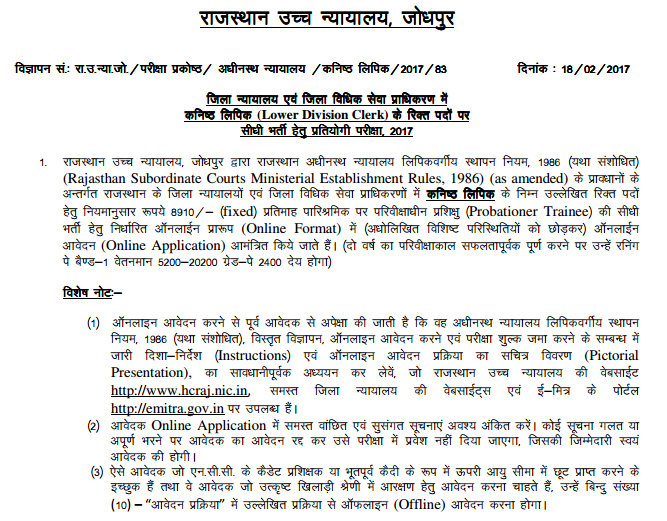 Rajasthan High Court Recruitment 2017 Notification uploaded on this Webb Portal. And to inculcate the all necessary Steps to Fill the Online Application Form. it is necessary that the students must be handed under a very good Clerk Post. If Students Have Doubts related to Rajasthan High Court LDC Admit Card 2017 Discuss Here Via Comment Box. ST k liye kya cut off h? 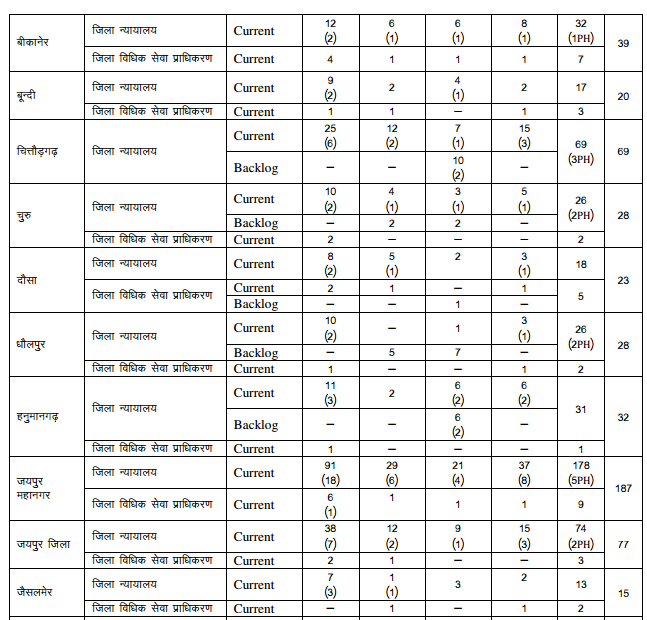 Hi, raj ldc 2017 exam me jo typing test hoga vo kab tak hoga? And hume kis language me type karna hoga? i have lost my application id please help me..
mere pass token no. nhi he kya me ab kuch nhi kr sakti admit card k liye. Sir, ldc exam date 23 july 2017se 29 sep. 2017 Ko ho gaye kya. Sir, exam date 23july se 29 sep. Ko ho gaye kya. please tell me the ldc exam date 2017 ,is it 23-07-2017 or not????? and when admit card is available??? Added me a on the study material.